December 18, 2018 through March 1, 2019 at 11:59 p.m. Please sign in using your MyGWC Username and password. Online Scholarship Application Information and Instructions. Please read before you start your application process. 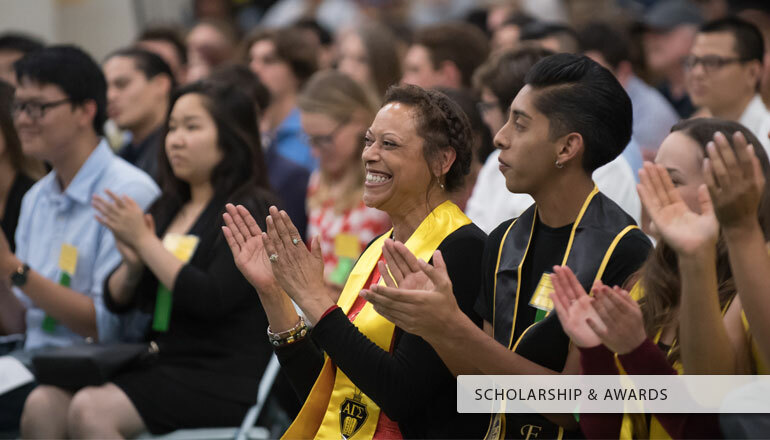 Golden West College scholarships are for current GWC students in all disciplines. Your scholarship application must be fully completed in order for your application to be considered for any scholarship opportunity. Your application will automatically be applied to qualified general scholarships. However, there may be scholarships that you qualify for which require additional information that pertains to that particular scholarship, such as: requesting uploading your transcripts, writing an essay or providing proof of your College Services Sticker with your Web Schedule Bill found on MyGWC. Please follow the application instructions if you wish to apply for these additional scholarships. You can update your application and make corrections from the time your start until and application process closes. When submitting any documents for the online scholarship they MUST BE in PDF format or Word. If you need assistance please attend a Scholarship Workshop or go to the Learning Resource Center for assistance. General Scholarships: Minimum qualifications criteria for Golden West College General Scholarships. 3. You must plan to enroll in a minimum of 12.0 units at a college or university in the Fall semester. Some awards may not be transferable and must only be used at Golden West College. Nursing Scholarships: When applying for a nursing scholarship, submit ONLY ONE ONLINE APPLICATION. You will be considered for all scholarships listed under Nursing Scholarships if you qualify. Department/Program Scholarships: Special requirements could be requested for these scholarships such as letters of recommendation, essays, portfolios, academic transcripts and information about your financial aid need, etc. *Scholarship funding is limited and meeting the minimum qualifications does not guarantee that you will receive a scholarship. By meeting the minimum criteria listed above, you will be considered for awards that mandate “GWC General Criteria” for initial eligibility. **Some awards are awarded by various departments on campus (Arts & Letters, Nursing, Math, Science, etc.). Based upon your major area, your application will be forwarded to the appropriate department for review if you qualify. Individual departments have committees that evaluate each applicant. ***Criteria for scholarships is set by the donor. Some scholarships have disbursements that are split between the fall and spring semesters. Other scholarships may require that the scholarship is used for textbooks and tuition only. All Online Applications will need a well-written PERSONAL STATEMENTno more than one-page, 500 words using 12 pt. font. Your personal statement is an important consideration during the selection process. Your statement should explain why you have chosen to attend college and what your future educational or career plans, personal goals, life history, significant obstacles you have overcome, personal and financial needs that are unique to you, and any special circumstances that have had a significant impact on your academic performance. This helps the reviewer know you better. Emphasize events that have negatively or positively affected your cumulative grade point average. The following documents may be helpful when writing your scholarship essay. NOTE: Online Scholarship Application start date is subject to change. Please continue to visit this website. NOTE: No student is eligible for a Golden West College scholarship that is currently not in good standing.